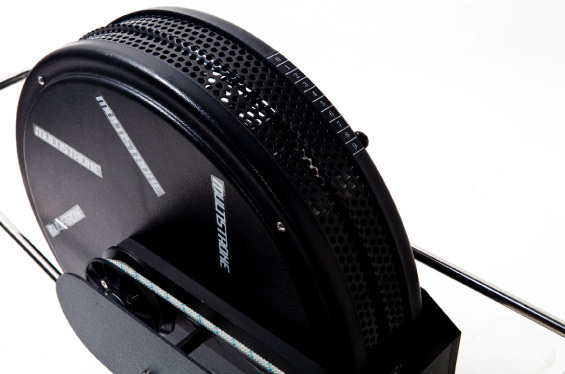 The KayakPro SUP Ergometer is designed for high impact, high frequency and Multi-user use by individuals in Gyms, clubs and by professionals. It’s robust Aluminum and steel frame construction and easy operating mechanisms, allow intuitive use and easy adjustment. 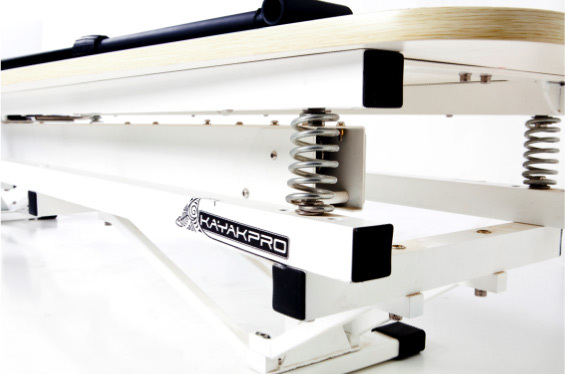 The KayakPro SUP Ergometer replicates SUP paddling precisely. The adjustable resistance and adjustable paddle shaft length allows you to train at your preferred resistance level, to best mimic your own board. 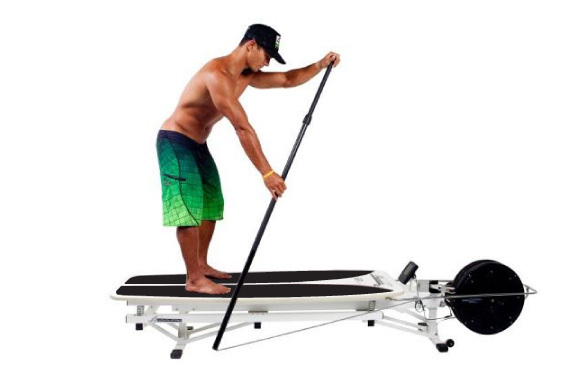 The “feel-real" stand-on, moving tilting SUP platform provides the board motion that you would expect from a real SUP board, encouraging you to use the small stabilizing, and core muscles that also need to be trained in order to give you the full body work out that you would expect from on the water SUP paddling. This “feel real” board motion is essential in order to encourage the relationship and balance between maintaining board stability and intensity of effort - that’s how to increase performance and speed on your SUP board. Sure, it may be nice to be on the water all the time but, due to limitations of time, cold and inclement weather, limited daylight hours and other factors this is not always possible. However the good news is that the KayakPro SUP Ergometer can actually promote a better specific SUP specific fitness and strength workout than on the water! Leaving you one step ahead of the competition! The SUP ANT+ compatible On-Board console provides you with your speed, pace, heart rate, Kcals used, and a whole array of training data that allows you to see and monitor your improvement in a rep- licable and motivational way. 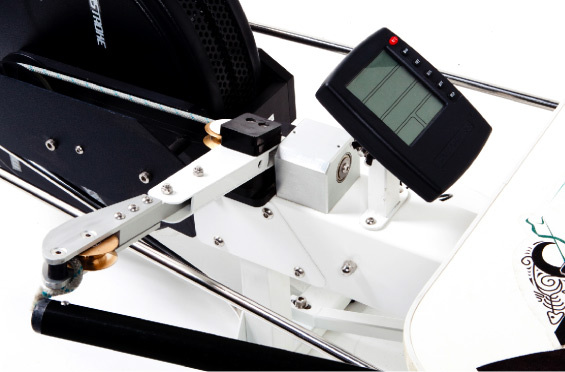 The KayakPro SUP Ergometer can be upgraded [by purchasing the available upgrade pack] to an Multi-stroke O1-M outrigger Ergometer – this allows you 2 x uses with one machine!